After acquiring the distribution rights to the film in January, IFC Films has announced that The Babadook breakout director Jennifer Kent’s second project The Nightingale will hit theaters on August 2, according to The Hollywood Reporter. 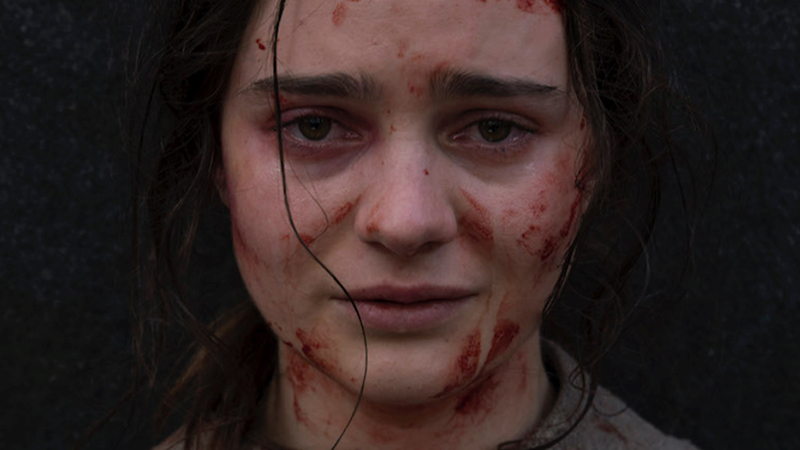 The film, which is set in 1825, follows 21-year-old Irish convict Clare (Aisling Franciosi, Game of Thrones) as she finishes her prison sentence but is still forced to deal with the abusive Lieutenant Hawkins (Sam Claflin, Charlie’s Angels) after her release. After her husband retaliates, Hawkins and his crew respond violently against Clare’s family, sending her on a revenge-driven path as he heads up north for a captaincy position. Clare enlists the help of an Aboriginal tracker (Baykali Ganambarr) to chase Hawkins through the Tasmania wilderness. The Nightingale marks Kent’s second directorial effort following her debut with the 2014 acclaimed horror film The Babadook, which also marked her first collaboration with IFC Films and proved to be a critical and commercial hit for the studio and director. “The Babadook was one of our most successful acquisitions at IFC and we could not be happier to continue our partnership with Jennifer on her next feature. She is undoubtedly one of the most talented writer-directors working today and we can’t wait to share The Nightingale with audiences across the country,” Lisa Schwartz, co-President of IFC Films, said. The film had its Australian premiere at the 2018 Adelaide Film Festival, where it debuted to very positive reviews from critics, currently maintaining an 80 percent rating from critics on review aggregate Rotten Tomatoes based on 32 reviews. “IFC is the perfect choice for The Nightingale. I have a lot of faith in them after working together on The Babadook and seeing firsthand how much they support and respect their filmmakers,” Kent said. The Nightingale previously premiered at the Venice Film Festival and made its North America debut at this year’s Sundance Film Festival, where it scored highly positive reviews from critics, and is currently set for an August 2 release, in which it will compete against the Fast & Furious franchise spin-off Hobbs & Shaw and the live-action adaptation of the hit Nickelodeon children’s series, Dora and the Lost City of Gold.